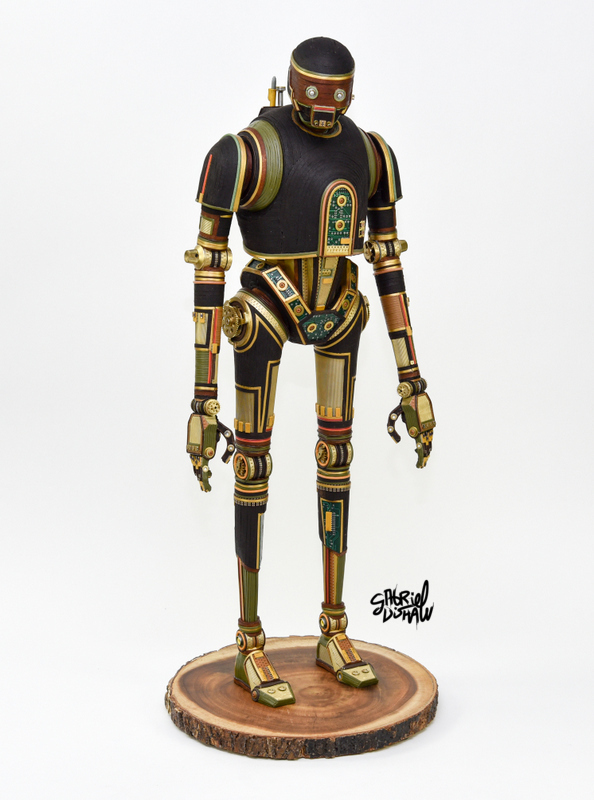 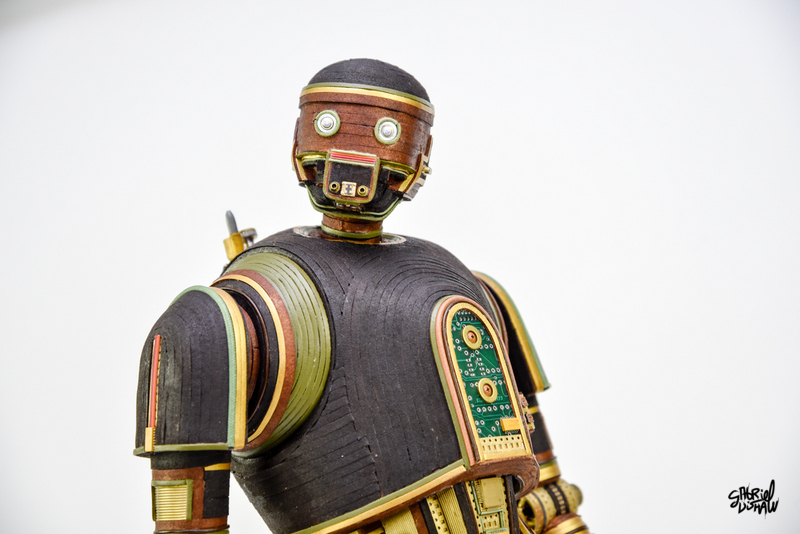 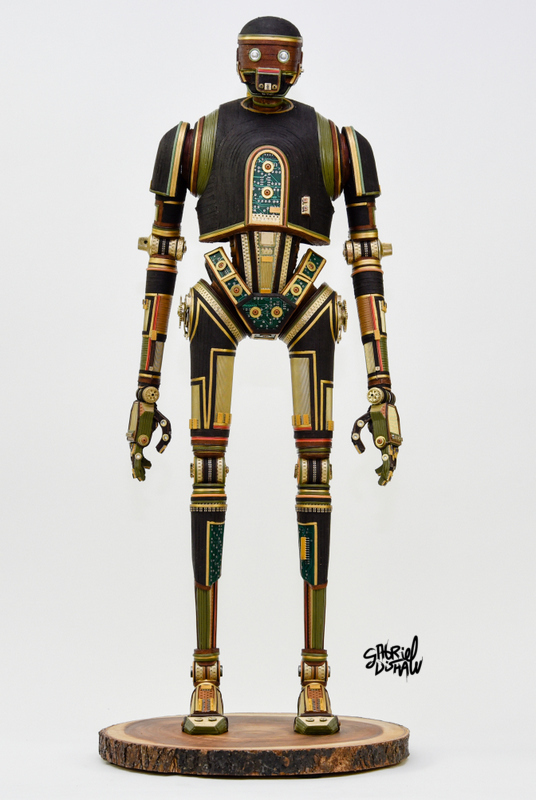 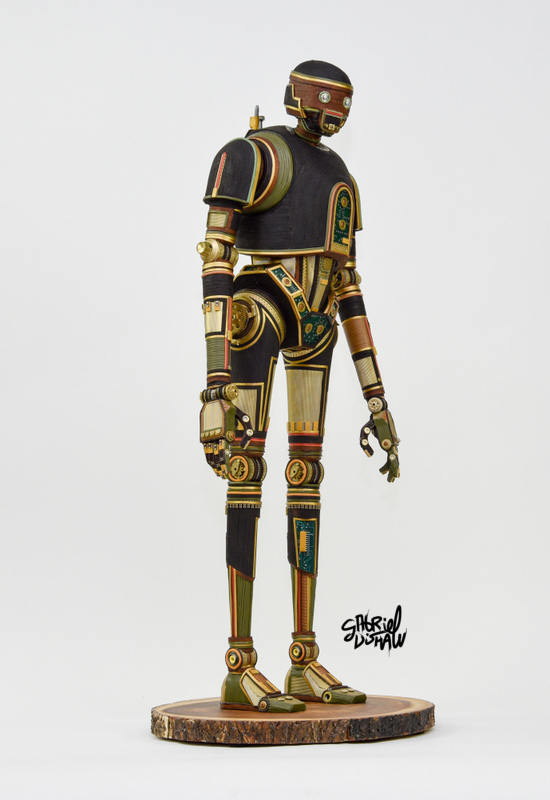 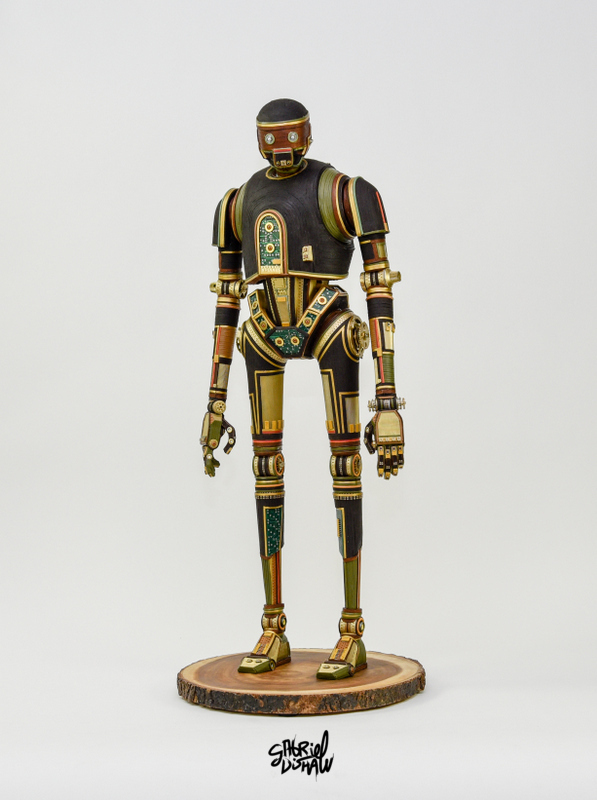 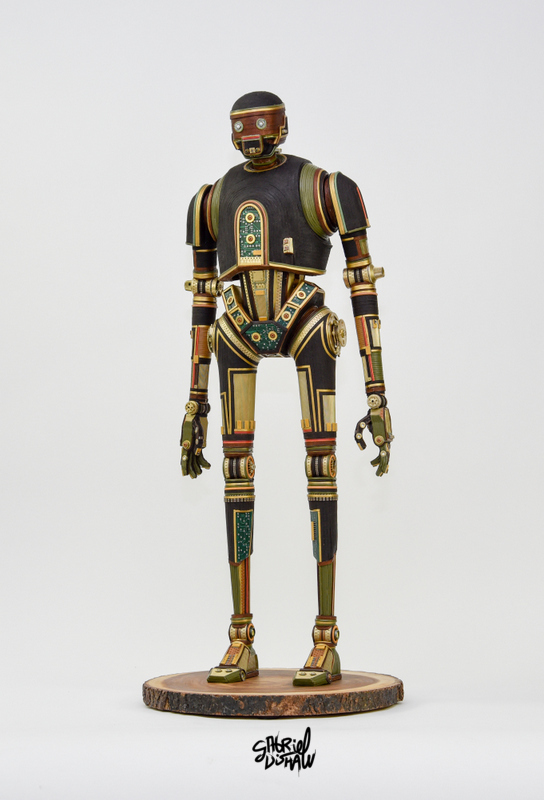 DESCRIPTION AND DETAILS: This piece was inspired from the droid K-2SO that debuted in Rogue One. 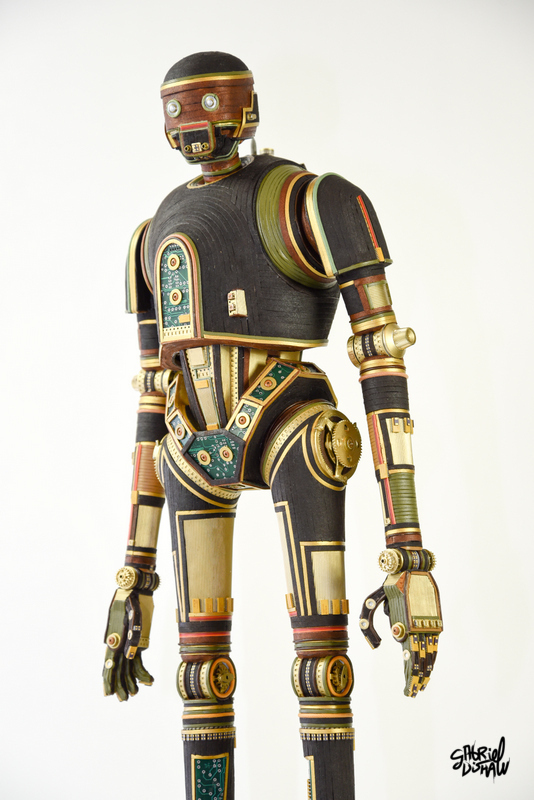 This piece was created using upcycled materials such as: computer chips, data cables, wire, leathers and other electronic materials. 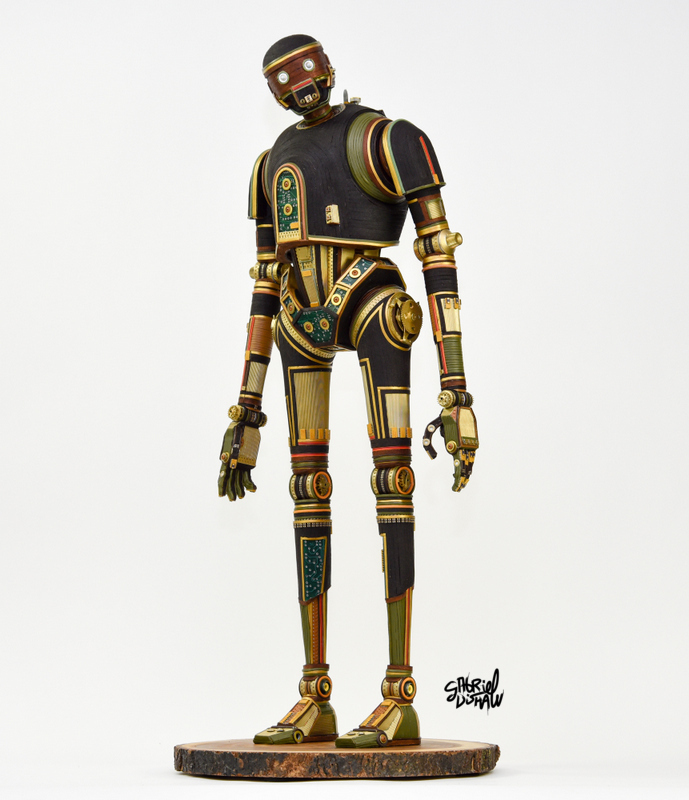 Dimensions: 32 inches tall, 13 inches wide and 13 inches deep.